Strip the turf: In an existing lawn with vigorous and competitive grasses such as ryegrass, you may need to take up the turf to give your wild flowers a chance. Just make sure you do not strip the topsoil with it. 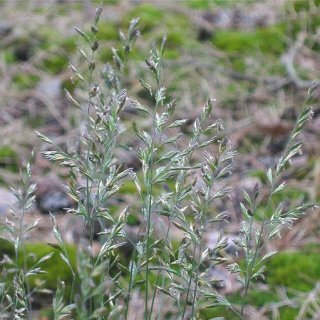 Because the meadow will not be mown as frequently as a conventional lawn, eradicating weeds before you seed is even more important. 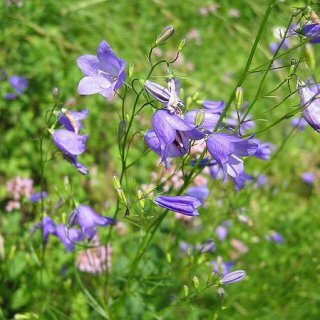 Reduce soil fertility: Do not apply fertiliser or remove any grass clippings for at least a year before you begin sowing your wild-flower meadow. This prepares the soil by returning it to a more natural state. Get a head start: Plant some plug or planter-grown wild flowers in the spring or autumn. 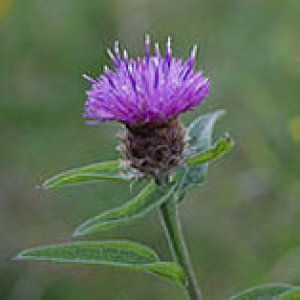 These plants will give the meadow some cover while your seeds grow. 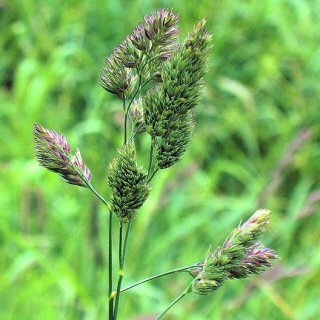 Sowing the meadow: Use fine turf grasses such as bents and fescues, which won't compete with your flowers. 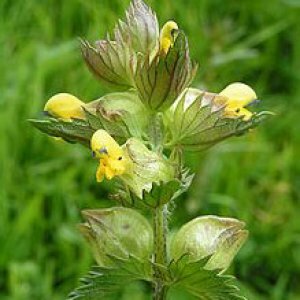 Scatter your wild-flower mix in the early autumn or, if you live in a cold area, wait until the spring to give it the best possible start. 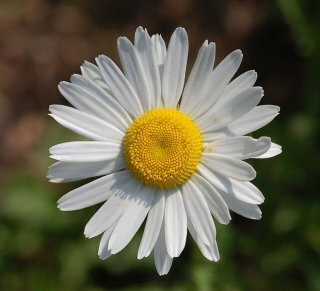 Let the site decide: Choosing which flowers to grow depends on whether your meadow is in shade or sun or has damp soil. In an open sunny site, use ox-eye daisies, bellflowers, poppies, field scabious and cornflowers. In a damp site, plant common spotted orchid, ragged robin and meadowsweet. 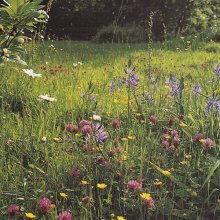 summer-flowering meadow should be cut from the early autumn and in the spring when growth starts. Leave summer and autumn mowings to shed their seed before you collect them, but pick up the spring mowings straight away. 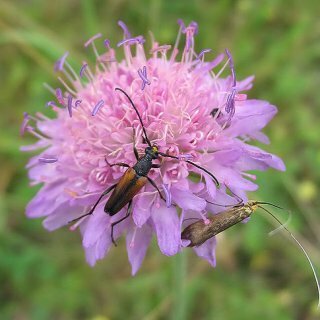 When mowing a wild-flower meadow, remember that it needs to be left longer than a conventional lawn.Ideally, you should aim for a height of 8-10cm. If your mower will not adapt to this height and the area is fairly small, consider using a traditional method such as a scythe or lawn shears. A strimmer will also do the job.